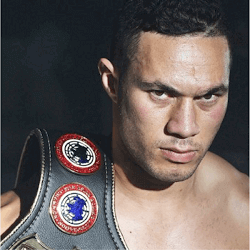 Who Will Joseph Parker Fight Next? New Zealand heavyweight Joseph Parker has had a bumper year, bringing his fight tally up to 22 in four years since turning pro, all of them undefeated. 2016 saw the South Auckland-born 24-year-old win six more bouts on the trot, three of them by powerful TKOs or KOs in less than five rounds. He now holds the WBO, WBO Oriental, WBO Africa, OPBF, PABA, EPBC and NZNBF heavyweight championship belts. Not even the controversy over his majority-decision points victory over Mexico’s Andy Ruiz after 12 rounds in Auckland’s Vector Arena on December 10 for the vacant WBO title could sour such a stellar year, despite claims from vociferous critics that Ruiz was robbed. So it’s perhaps understandable that his management team, Auckland-based Duco Events, are in no hurry to name the next contender Parker will face. Parker is due to defend his title for the first time on April 08; we just don’t know whom he will face yet. 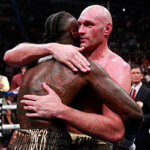 In theory, the WBO could demand that as the reigning champion, he meets the next-ranked heavyweight contender in their rankings. That would be British heavyweight David Haye, who isn’t available. To date, however, the WBO has not indicated whether it will insist that Parker fights the highest-ranked available WBO contender after Haye. Promoter Dean Lonergan revealed back in May 2016 that Team Parker were keen to set up a high-profile bout in the UK against Haye, so it looks like he would have been their first choice to face Parker in the April 2017 fight anyway. However, Haye has opted instead to fight WBC cruiserweight title-holder Tony Bellew in March. 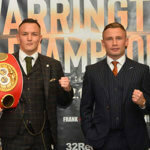 So Parker’s choice now appears to be between two other UK boxers: undefeated heavyweight Hughie Fury, currently second on the WBO rankings, or David Price, ranked sixth, as the three contenders ranked between them are also unavailable for an April bout. 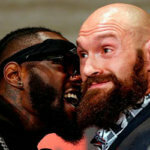 Price has tweeted that he would love to fight Parker in the latter’s first title defence, although Fury has the stronger claim on a shot at the title. We’ll keep you posted, as soon as a definite opponent is announced.